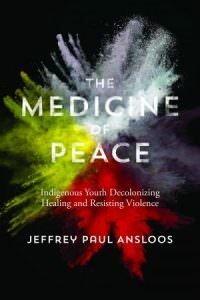 A distilled theoretical work regarding oppositional views between Indigenous culture and Western social science, The Medicine of Peace: Indigenous Youth Decolonizing Healing and Resisting Violence, a debut by educator and counsellor Jeffrey Paul Ansloos, introduces critical-Indigenous peace psychology, a holistic alternative to existing forms of Indigenous youth care. In addition to condensing complex terms and theoretical frameworks into digestible forms, Ansloos also invites readers to witness his personal journey as an Indigenous youth. The scenes from his past humanize the concepts presented in the chapters, creating a well-rounded reading experience. Although Ansloos provides minimal steps moving forward from his initial thesis, the book serves as a thought exercise in reconnecting Indigenous youth with their cultural identities.